Planning a House Extension or Loft Conversion? Are our fees value for money? Manchester based Building Surveying and Consultant Design Company. We are a well established Building Surveying and Consultant Design company in Manchester who have an excellent understanding of house extension building projects accompanied with feasible design solutions. Based in Manchester, but also covering Stockport and Cheshire. Our team of construction professionals has vast knowledge of the building industry and its standards along with working methods. We can guide you through the complicated and regulations Local Authorities require and relevant types of building projects to comply with. Use our website to find out more about our company, what we do, general industry information and pricing. 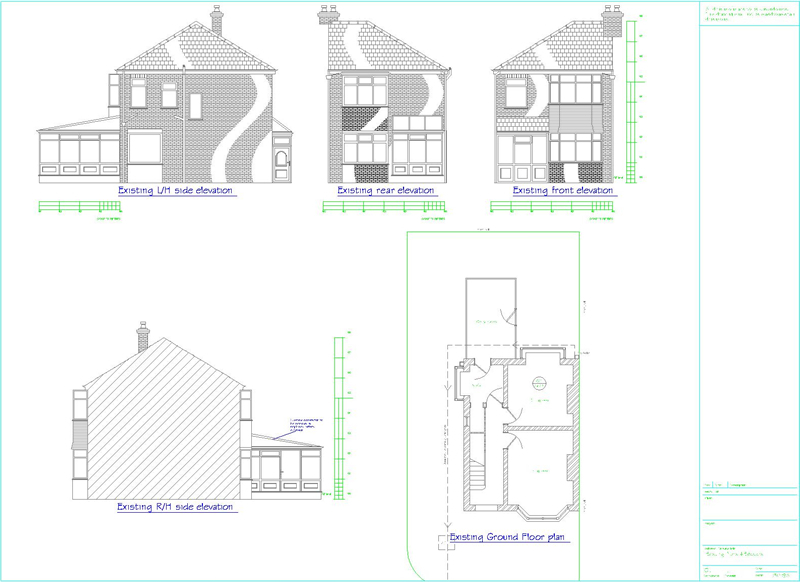 Our client who lives in Denton required building plans for a larger kitchen / dining area. .JK Tech Servs suggested a single storey rear extension with a vaulted ceiling to give illusion of more space. JK Technical Services have acquired accreditation and membership of the following organisations. Chadderton, Cheadle Hume, Cheadle, Clitheroe, Culcheth, Carrington, Chorlton, Chapeltown, Castleton, Denton, Droylsden, Dukinsfield, Didsbury Eccles, Edgeworth, Edenfield Farnworth, Failsworth, Gorton, Golbourne, Great Leaver, Glazebury, Garswood. Hale, Handforth, Harpurhey, Hazel Grove, Heywood, Hindley, Horwich Hyde, Hulme, Heap Bridge , Heald Green, Handforth, Hindley Green Haydock, Haslingden, Ince in Makerfield, Irlam Kersley Leigh, Levenshulme, Lowton, Littleborough, Little Hulton, Lymm, Lostock. Manchester, Middleton, Millbrook, Milnrow, Mossley Northenden, New Mills, Newton Le Willows Oldham , Openshaw Partington, Prestwich, Pendlebury. Rochdale, Radcliffe, Reddish, Ramsbottom, Rawtenstall, Rossendale, Salford, Stockport, Stalybridge, Stoneclough, Stretford, Shaw & Crompton Sale , Swinton. Timperley, Tottington, Tyldesley, Tatton, Turton Walsham, Walkden, Waterloo , Warrington , Westhoughton, Whitefield, Wigan Winwick, Wilmslow, Worsley, Wythenshawe.